[Master Thesis] Man Versus Platform Versus Designer. How New Media Technology and Design Steer Behavior. Users of a new media technology often feel empowered and in total control of the platform or device they are operating. But is this really the case or is this a mere feeling? Are users fully controlling the technology and its design or is this just perceived and is the agency of the technology and its design generally being overlooked? This paper questions users’ perceived agency by looking at how the technology itself and its design are possibly influencing, or even steering, its users’ behavior. Using theories focused on technological and societal agency, questions of control, premediation, design, gamification, commercial goals and distribution of agency this paper aims to get a better understanding of the complex reality of the process of steering behavior. Based on these theories this thesis will analyze how the agency between the user, the technology and the designer is distributed, and how the steering works through, the case studies Apple Maps, Foursquare and Google Glass. It can be expected that the agency in the process of steering behavior is not distributed symmetrically between users, technology and design and that the process of steering differs between objects. This paper will also stress the need for more knowledge among users about this process in order to be able to make a well substantiated choice whether to use a certain technology or not, because if it is true that technology and design are not only empowering users but also able to steer human behavior, users should be able to critically evaluate whether using a certain technology is worth it. Scheffers, Ineke. Man Versus Platform Versus Designer. How New Media Technology and Design Steer Behavior.Master Thesis University of Amsterdam, 2013. Scheffers, Ineke. ‘You Can’t Squeeze Blood From a Stone. Why ACTA Isn’t Beneficial for the Media Industry Either.’ Bachelor Thesis University of Amsterdam, 2012. This paper argues that while, the Anti-Counterfeiting Agreement is certainly not beneficial for the downloading and peer-to-peer sharing public, it isn’t necessarily beneficial for the mainstream media industry either. The main reasons for the mainstream media industry to support ACTA is to protect intellectual property rights and profits. 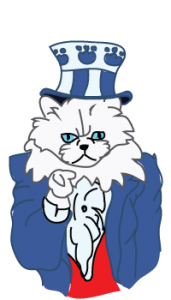 This thesis, however, shows that the media industry should reconsider ACTA, because this law could possibly harm their profits by forbidding piracy and thus peer-to-peer sharing and thereby eliminate important promotion. It is even argued that dropping ACTA could create new possibilities to generate extra profits. Beyond these theses I wrote countless other research papers and essays about television, film, gender and new media topics. Interested? Just ask! 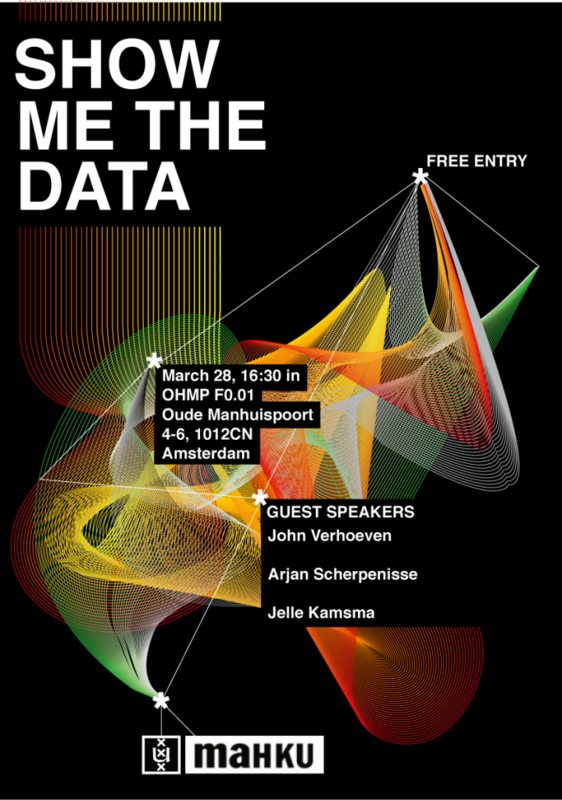 Documentation on the previous years and additional information can be found on the website: showmethedata.nl. There is also a Facebook event page. Living in the era of Big Data, data visualization is booming in science, marketing and journalism. In this article I want to show that this booming phenomenon is also relevant to politics and social matters. As in that it is being used to enable a saver world. I will do this by discussing the mobile App ‘Bashing’ which is designed to raise community and political awareness for homophobic violence. In order to discuss this app critically, I will analyze it using Lisa Parks’ critique on a data visualization by Google also aimed at raising awareness for violence. ffic originate from (Google, social media, blogs, direct URL). Not everyone on this earth gets the respect or at least tolerance that they deserve. In this world discrimination is such a big problem that it seems almost unsolvable. People get discriminated against for all sorts of reasons. LGBT people (Lesbian, Gay, Bisexual, Transgender) get discriminated against for their sexual preferences and differing genders. Discrimination against LGBT people is worldwide problem and happens on a daily basis everywhere. 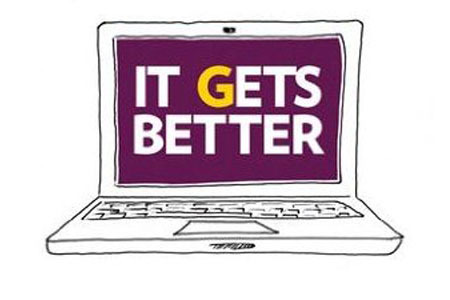 In this case study I will illustrate how Dan Savage’s project ‘It Gets Better’ uses the power of online media activism to raise awareness, acceptance for LGBT issues and give LGBT teenagers strength to live a happy life. Helping Neighborhoods Get Social Again. Or not? Every good idea is a solution to a problem. In the case of San Francisco based start-up Nextdoor the problem is that neighbors no longer get to know each other and truly communicate. The small-scale social network is trying to solve this by introducing a digital medium for neighbors to exchange messages, ask for help or organize local events. Every neighborhood, suburbia or small town has its own page, and all visible content is generated by people who actually live there. This is ensured by a secure registration and verification procedure based on the user’s physical address. Once people register in their neighborhood, they can send messages, write posts or questions, but they also have access to all previously shared information, meaning that answers can be found even without asking. [Thesis] You Can’t Squeeze Blood From a Stone. Why ACTA Isn’t Beneficial for the Media Industry Either. Starting at University I, instead of admitting to have a serious case of infobesitas, decided to make this new media addiction my life by studying it and making it part of my job. This website holds my portfolio of the blogposts I wrote for university, my first job at Merge Media, Q42 and Girl Code. The blogposts are in the language they were originally written in. So, either Dutch or English. Meet our 900th Girl Coder: Julia! Meet our 800th Girl Coder: Zinat!